Every few months of so, I see a (re)tweet pointing to this infographic from KissMetrics. Here’s a snippet: (Update: to learn about content engagement and calculating time on page in Google Analytics, see this post). The thing that frustrates me the most about this infographic is that the definition of Bounce Rate is wrong. (Well, at least for GA). Yes, I know that the definition is directly from the Google Analytics Help Center. But a bounce in Google Analytics is NOT a visit with a single pageview. A bounce is a visit with a single engagement HIT. (Justin Cutroni has a great post explaining these hit types and how to understand Google Analytics time calculations based upon undertstanding how these hit types work). To briefly summarize here, there are currently 6 types of hits that can be sent to the Google Analytics server. As Justin explains, 5 of these hit types are used in calculating some form of engagement, thereby impacting time on page / time on site calculations as well as bounce rate. With regards to bounce rate in particular, an additional Pageview, Event which hasn’t been set to non-interaction, or Social Media share (that is configured to be tracked in GA) are all things that can impact your bounce rate. Here is an example of why understanding this technical principal is important when it comes analysis. In the example below, we see that this client’s Paid Search campaigns have a particularly low bounce rate. However, you might have noticed that something is a little bit fishy here. Hint:Pages/Visit The fact that GA was reporting less than one page per visit is a clear indication that this site has problems with their implementation. Indeed, when looking at the site’s bounce rate over time, we see sharp changes. Big Problem City Knowing that bounce rate is impacted by the technical issue of more than one engagement hit getting sent to GA is critical to making sure you’re getting your analysis right. It is quite common that developers of software come up with a GA integration that doesn’t take bounce rate into account. The most common culprits I’ve seen are live chat (where the auto-invite sends a Pageview or Event) and auto-plays of videos that are tracked by virtual pageviews or events (where non-interaction was not invoked). The use of a particular live chat application is what caused bounce rate to plummet in the above example. Bounce rate is also impacted by cookie integrity issues which cause sessions to get reset. Additionally, and I’m still surprised by how many times I see this, having the GA tracking code more than once on a page is a sure fire way to bring your bounce rate down to zero. As my friend Caleb Whitmore puts it, “A 3.8% bounce rate isn’t really good, it’s broken.” An important side note: As web developers have an uncanny tendency to break GA implementations, make sure you use GA Intelligence Alerts. (After this post, read yet another great post by Justin about data alerts). Based upon what we’ve seen above about how bounce rate can be a). Broken and b). Impacted by code, I just want to say that I totally take Matt Cutts at his word when he says that search rankings do not take Google Analytics into account. Google Analytics’ metrics are far too easy to manipulate for the Search Quality Team to use them in rankings, IMHO. Furthermore, there are so many broken implementations that it would be foolhardy to consider pages/visit or bounce rate metrics on a global scale to be reliable as a search quality signal. </my two cents>. One of the most often quoted lines about bounce rate, is Avinash Kaushik’s famous definition, “I came, I puked, I left.” While this definition does hold water a lot of the time, I believe that ultimately it is too simplistic. Avinash certainly makes great points in the video above. If you haven’t seen it before, it is 4 minutes and 45 seconds of classic Avinash awesomeness. I appreciate that with that quote Avinash is trying express something deeply powerful through a crystallization of a concept. Nevertheless, when bounce rate is looked at in a monolithic fashion without exploring the nature of the site or page types, it is quite possible to draw incorrect conclusions about user behavior on one’s site. For example, the following site publishes a lot of content multiple times per day. They get a lot of traffic, and have a “high” bounce rate. Even the Direct Traffic to the site bounces at a high rate. Creating an advanced segment for Direct Traffic that Bounced and applying it to the Frequency & Recency reports, reveals a completely new perspective on the nature of this traffic. Almost 30% of the Direct Traffic that bounced was from visitors who had been to the site 9 or more times. It certainly does not seem like these people were puking and leaving. Indeed, most of the time that I find myself at Avinash’s blog, I spend a significant amount of time reading an article and then “bounce.” A measure of success for content sites is not necessarily if the reader bounces or not, but whether or not they read the article and (more importantly) come back. Eivind Savio has a great post where he shares a script (originally from Thomas Baekdal) that helps add a tremendous amount of context to traditional bounce rate metrics; namely, it is a relatively complex (and extremely elegant) script that tracks user scrolling behavior. And yes, another shout out to Justin Cutroni who wrote extensively about this in a two part post. Personally, I like Eivind’s approach of using non-interaction events instead of messing with bounce rate. I’m curious what any of you readers think. Perhaps it really is appropriate to change the way that GA “normally” treats bounce rate based upon indications that a person is indeed reading an article. Not sure… Eivind has put together a wonderful Excel worksheet that allows one to pull all of the scroll data into a dashboard using Next Analytics. Here is some data from this blog. My most popular posts (about the change in how Google Analytics defines a session, about unique visitors, and about multi-touch attribution) all have bounce rates of above 60%. However, between 23-33% of the pageviews had users who scrolled to the bottom of the content section of the post in more than 30 seconds. Indeed, for those posts, more the 75% of the pageviews had some sort of scrolling behavior. If I didn’t have scroll tracking on these pages, I would be stuck with a low time on page metric and high bounce rate. At least now I know that at least a few people are reading my blog posts. 🙂 Interestingly, the bounce and exit rates for “Content Readers” is practically the same as the overall average for those posts. This is just another indication that Bounce Rate is not the “be-all and end-all” metric when it comes to understanding user behavior. Always keep things in context. I want to end this post by pointing you to an excellent piece by Kayden Kelly from Blast Advanced Media about Bounce Rate. He touches on a number of points that were brought up here, and a lot of other issues (like the difference between bounce rate and exit rate), which I specifically didn’t address because he did such a good job. It is really a worthwhile read. Great stuff. Thanks for that. I always point out to clients the context of the webpage. If your conversion pages have bad bounce rates or exit rates – time to improve! Absolutely. In many cases, bounce rate quickly identifies major problem areas. Especially for ecommerce sites, it is one of the first places I look when measuring the performance of inbound marketing efforts. There are other “moving parts,” however, which is why wanted to write this post. BTW, did you bounce after reading this? 🙂 (The disqus comment engine isn’t integrated into my own GA). I must have been sleeping lately, don’t know how I missed this blog post. Great write up (and thx for the mentioning BTW). The “Bounce Rate problem” is something I meet every week. The answer is always “context” or “missing or wrong implementation”. But as you mention Yehoshua, it’s a great place to start to look when it comes to inbound marketing. this is just amazing analysis. cheers for all the talented analytic people and programers working around the world sharing knowledge with each other. Awesome post, as usual, Yehoshua. I love exploring the tracking script tweaks on sites like your own, too. On a side note, going to give gaCookies() a look into. Crap. even though i knew our live chat had to be the reason our bounce rate dropped, i was in denial until i read this post. we got bamboozled into thinking our bounce rate was great for over 3 months! thanks so much for the article. Thanks for the comment. Yea, it can be really frustrating to find out that a technical issue is impacting your data. I see it really often across websites large and small. However, it’s really a great thing to identify and fix problems (like it sounds you did). I’m glad you appreciated my article. Thank you. FYI, that link to blastam.com’s blog is broken. It looks like the URL is no longer valid? 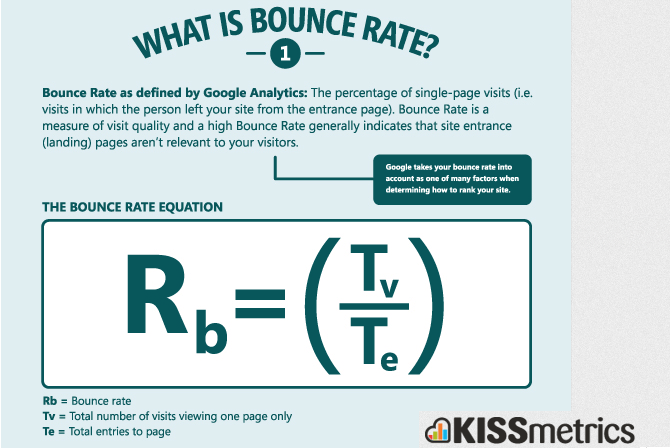 Hi There, Nice explanation on bounce rate. I wrote a post on Bounce Rate and CTR, here is the link: http://baawraman.wordpress.com/2012/12/09/bounce-rate-and-seo/ , It talks about CTR and Bounce rate. Hope it will help readers to undersand Bounce rate further. THANK you for this. I’ve been trying to figure out why my bounce rate was literally sitting at 0 for two weeks. Although that would be really cool, I know how improbably it is, especially on a site like mine, haha. I found the second code in the header. I have no idea how it got there because I definitely didn’t add it again (in my conscious mind anyway). That should fix it. I’m still trying to figure out what would be the best heuristic fix for my site. My articles are usually between 2,000 and 7,000 words so I would expect that a lot of people would click out at that point and come back at another time. I need to find a solution that includes time on site (real time on site), which events were beneficial (ads or digging deeper in the site), and if they just opened me up into another tab and did something else for a while like I do to 99% of websites. You’ve now given me more to consider unfortunately. Great article! Thanks for the nice comment. Adding scroll tracking to your site is a definite first step for answering some of the questions you raised. I would consider having some of the events be interactive, such as reached bottom of page or Content Reader, and not just use non-interactive events across the board. If you are interested getting time on page / site metrics that do not include time that the user is in another tab, you should consider Personyze which stops the clock when you go into another tab. THANK you for this. I’ve been trying to figure out why my bounce rate was literally sitting at 0 for two weeks. Thanks for the sharing knowledge. Thanks for the sharing! Am curious how did you configure the ‘Percentage of total’ column in your Frequency & Recency table to appear in google analytics? Wow! great info. thanks for clearing that up. I have a question though. I switched domains, and didn’t update the tracking code until a few days after. Now I’ve got ~70% bounce rates (previously ~3%). Is my implementation broken? Do you have an idea how I can check? or what a possible solution might be? You definitely have a tracking code issue –> on the OLD site. You most likely had 2 snippets of the code (though there can be many different issues). A ~3% bounce rate is suspect. Great article, stumbled across your blog by accident, but I’m having fun reading your stuff thus far. I think the thing that infuriates me about bounce rate is that it’s so subjective. Google defines it one way, many users define it as something different. For instance, many people come to my site to solve problems that they are having. Once they read up on how to solve the problem, they leave. While google considers that a bounce, the user stays on my pages for an average of 27 minutes, and they often come back to reference the same page in the future. I had to add in some JS code to tell analytics that the user is reading the page just to get it to record bounce rate the right way for me. Taking my previous example, many of my users come, find my articles, read them, and leave. Later on they come back and read again…then, many of them (and i mean this) decide to explore the rest of my site. Even though they were a bounce the first time and even the second time according to Google, they actually become loyal readers and visit my site looking for new articles every day. Just my 2 cents. Yes, Google Analytics does have default settings. But anyone who simply copies and pastes the basic snippet onto their site is sorely missing out on what the product is capable of. In any case, it is nice to hear that you’re looking at your bounce rate in context, and learning about your user behavior in a deeper way. Nice write up. Lots of great info. Our site was redesigned to have less pages and be nearly single page for to improve the user experience with mobile and tablet. This has caused a big issue with bounce rate and rank in my opinion. Trying to fix it. Rank is one thing, bounce rate is another. You can change your analytics implementation to more closely measure your users’ interaction with the page, and thereby make bounce rate more in line with user behavior (for example, adding event tracking to internal clicks on anchors, etc). Regarding SEO, that’s something that you’ll need to explore separately. Great post and information. Any idea on how bounce rate is defined in GA on mobile and tablet? A great article and explanation of bounce rate, a common and very important issue which most of us face. Brilliant stuff. I’m only starting to mess around with G.A. but I’ve already read other “courses” online. They pander to the widely-accepted idea of bounce rate – thank god I chanced upon this. I have just added a second UA in my page and got a 99% bounce rate in the second account (the new one). Do you have a clue about the reason and a possible solution? When saying ‘t2._setDomainName’ do must I say none or .mydomain.com? Why is my bounce rate under the “Audience” section in Google Analytics different than my bounce rate under the “Behavior” section? I am Mrs. Maria Teresa Romero aging widow suffering from long time illness. I have some funds I inherited from my late husband, the sum of £703,000.00 GB Pounds. For a very personal reason, I needed a very honest and God fearing person that will use the fund for missionary work. Please if you would be able to use the funds for the work of God, kindly reply me by introducing yourself. And I will explain why I need an anonymous individual outside my family. God bless you. Really i love this blog because it displays image and by that image i will better understand about this topic and try to compare my actual site data with this data and find difference. I am working with a website having bounce rate 0%. We don’t use cookie in the website and there is no issue of duplicate analytics code in index file. What could be the reason for showing 0% bounce rate? Hi @Yehoshua Coren I’m in serious problem. I’ve a blog related to how-to and best gadgets the most of the traffic I was getting 2 days back was on guides’ pages and my sites’ bounce rate is 84% on average. My user just open up 1 page and follows the guide and leave it but my avg time on articles is 2 to 5 minutes. But google has penalized my blog and I’m sure it’s panda because my friend with 80% of bounce rate also got penalize by panda on the same same. What should I do now? I’m seriously confused. 🙁 Please help. 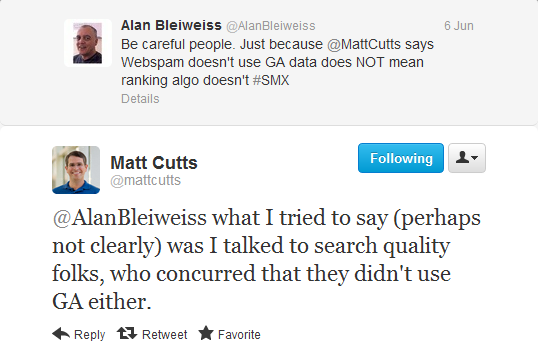 Bounce rate doesn’t impact SEO and it is not part of the Panda algorithm. Bounce rate does has impact on SE ranking factor and it’s a part of penguin algorithm. (This is to avoid unnatural backlink and irrelevant visits. Try Fruition software to check, By which algorithm your blog has been penalized. will be improving bounce rate in this case…. But overall I do want to reduce bounce rate but only by improving quality of my pages to my users. Great post! We have a custom browser on which we load a start page from our domain. So every time someone uses our product, we get a bounce because they don’t always actually do anything on the start page. Is there a way to tell Google to ignore these views, but still get analytics on when someone enters a purchase flow from that start page? Thanks for sharing! I didn’t know that the data could be biased because of the Live Chat. I use both Google Analytics and Live chat and the data from the last one gets forwarded automatically to the first. Never noticed anything strange but I will pay more attention from now on. How to reduce bounce rate by one simple trick? Any trick to engage users??? I genuinely appreciate your analysis. It explains something I’ve notice with my blog (MediaVidi.com). As my blog traffic has gone up, so has my bounce rate! After reading your analysis, I realize much of my traffic comes from “frequent fliers” who return to my blog when I Tweet about new content it or I email my subscribers. Once someone has looked around my blog once, there’s no reason to stick around after they read a new post. 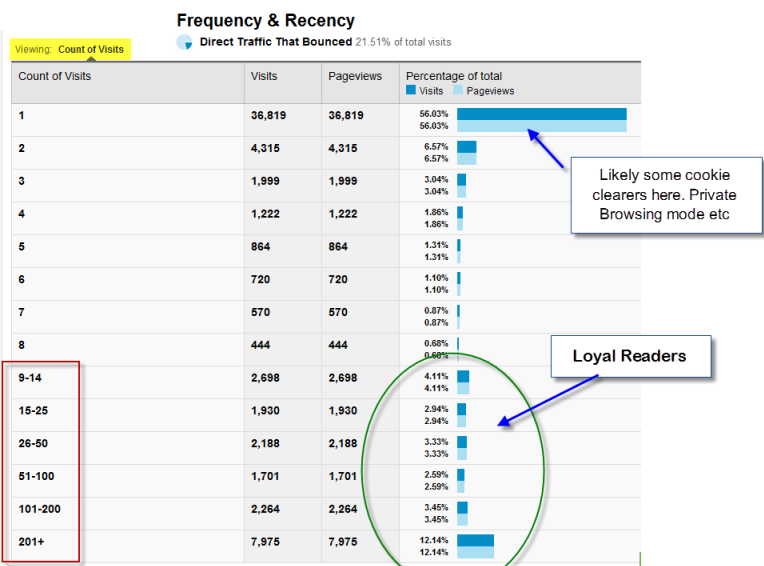 So a high bounce rate can simply be a symptom of a loyal following! After reading your analysis, I’m going to look at all my metrics differently. Good job! I am a game developer and i like to play games ? Games – Play the best Pou Games online free for everyone! You don’t even have GA on your site. Yehoshua – what about my site with 5% bounce and avg pages/session: 8 ? I also have a website but I don’t know about bounce rate and neither I checked it. After reading your post I checked the Bounce Rate of my website and it is too high. Now i am working on it to control the bounce rate. Thanks for sharing such informative post. The Ninja in your icon appears to have a fencing foil with a blade guard instead of a katana. I typically find the best bounce rates are between 50 and 65%. Does that sound right? Thanks to you I’m working on it!!! Awesome write up – definitely learned a lot. And to think this article is YEARS old! Where have I been? Just figured out why my bounce rate is zero because of this, I had double implementation from google tag manager and an internal SEO plugin Thanks for the article. Perfect article!!! it has all the information for some one to start searching how to understand who the visitors behavior in the website.